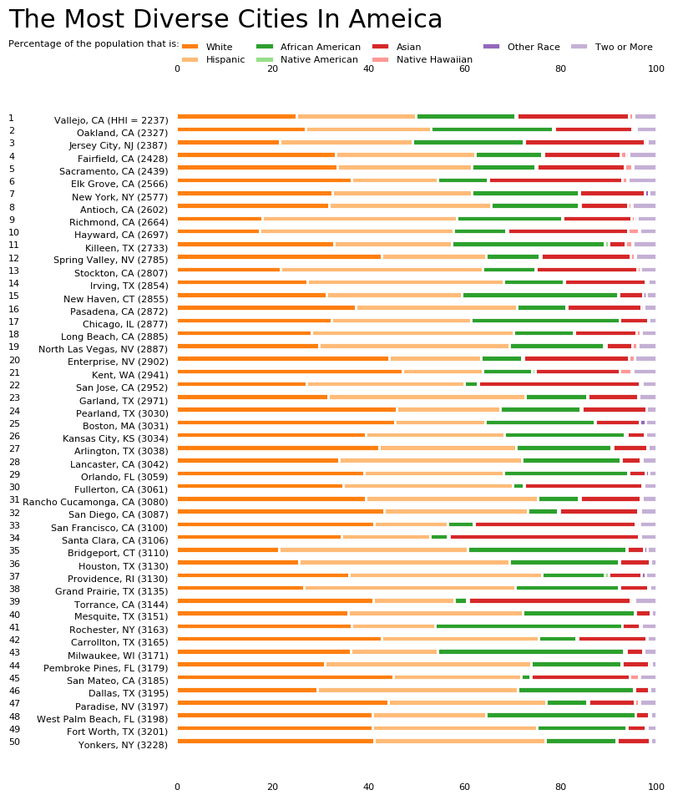 We used science and data to determine which cities in the US have the largest racial diversity. We limited our analysis to only cities with greater than 100,000 people. That left us with 307 cities. We then calculated the HHI for each city by taking the percent of each of the above for the state, squaring them, and then adding it together. This left us with scores ranging from 2237 (Vallejo, CA) to 9441 (Surprisingly, East Los Angeles, CA). Finally, we ranked each city based on the HHI with a lower score being more diverse than a high score. Vallejo took the distinction of being the most diverse, while East Los Angeles was the least diverse city.